Myanmar’s recent transition to ‘disciplined democracy’ holds valuable lessons for Cuba’s democracy activists and civil society. 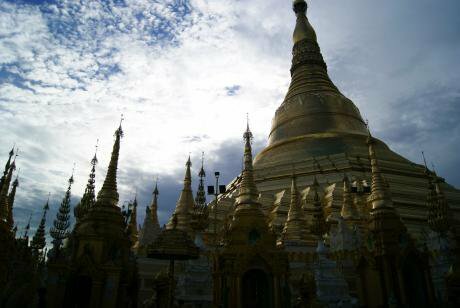 Yangon’s famous Shwedagon Pagoda. (Image by author)Cuba may have arrived at a critical juncture in its history. The appearance of change is ubiquitous, and extends to the social, technological, and economic spheres. The opening up of commercial travel from the United States, access to the internet, and the growth of entrepreneurial activity seems to support the notion that change is afoot. Cuba’s political realm seems to be the exception to these changes. At the most recent Communist Party Congress, the Party made it clear that political reform was not on the menu. Yet, in the next few years, it is likely that the Castro brothers will cease to govern the country –either when Raul steps down in 2018 (as he has indicated), or when the brothers eventually pass away (Raul is 86 and Fidel 90). Perhaps more significant is the increasing access to internet and the entrepreneurial wave of cuentapropismo, which many observers believe will bring about fundamental change in Cuba. All of which begs the question: what will Cuba look like in five years? In many ways, Cuba today resembles the Burma (Myanmar) of 10 years ago. Both countries have long histories of military dictatorship, censorship, human rights abuses, failed socialism, embargoes, and economic devastation, among other traumatic experiences. Burma’s transition over the last five years to what its military rulers famously termed a “disciplined democracy” offers a glimpse of one possible scenario for political and social transition in dictatorships elsewhere in the world. In August 2016, the International Republican Institute (IRI) convened a group of eminent Cuban civil society leaders and democracy activists in Burma to learn from Burma’s successes, failures, and ongoing struggles. The group included former political prisoners, youth leaders, women’s rights leaders, LGBT activists, legal experts and journalists, and others. Over the course of six days in Yangon, these delegates met with their counterparts in Burmese civil society, members of parliament, and members of the ‘’88 Generation’ – the pro-democracy student movement that led protests against the ruling military junta in 1988. 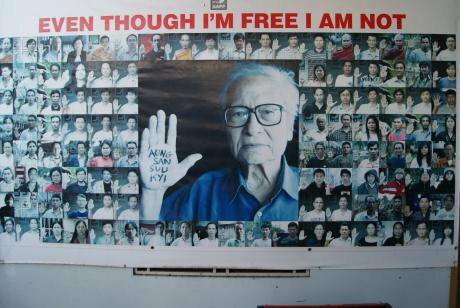 A photo montage at the Assistance Association for Political Prisoners’ Office - Yangon. (Image by author)At the time of the visit, Aung San Suu Kyi’s National League for Democracy-led parliament had only been in office about three months. IRI took advantage of this unique opportunity to explore how a young democratic government has begun to grapple with the country’s many challenges. Reactions among our Cuban travelers varied, but we noted three fascinating lessons gleaned from the exchange. (i) The delegates found Burma’s experience with an elite-led transition highly relevant to Cuba. Beginning in 2011, Burma’s military-led government began to relax its historically tight control over the social, economic and political lives of its citizens. Yet throughout the process, the military kept a leash on the country’s institutions. It carved out key powers for itself in the constitution it pushed towards passage in 2008. For example, while the National League for Democracy (NLD) won an overwhelming 80% of seats available in the November 2015 elections, the military is automatically allotted 25% of seats in parliament. Not coincidentally, the 2008 constitution requires a 75% majority for any constitutional change, thus ensuring the military’s veto power. In addition, it controls several of the most important ministries in the cabinet such as foreign affairs, border control, and the interior (which oversees police and intelligence units). Many delegates expressed the view that the NLD, and specifically Aung San Suu Kyi, made too many concessions to the military during this transition process. In the words of one Cuban participant, the democratically-elected government is now a “prisoner of the military”. Some were more sympathetic to the restrictions faced by the NLD, which in 1990 won a dramatic electoral victory but was barred from taking power. Yet for all delegates, the parallels between Burma’s situation and a potential transition in Cuba were clear: authoritarian rulers rarely just disappear during a transition, and their involvement in and legacies on political and economic institutions may last for generations. authoritarian rulers rarely just disappear during a transition, and their involvement in and legacies on political and economic institutions may last for generations. (ii) The relationship between democratic and economic progress is fragile and not guaranteed. As in the political sphere, Myanmar’s former military rulers carved out spaces for themselves in an opening economy. Many active members of the military elite simply traded their uniforms for business suites, and took over lucrative businesses in sectors such as mining and construction. A guided tour of downtown Yangon is replete with references to businesses owned by ‘cronies’, a favoured term to describe those who won controlling stakes through their connections with the government. In parts of Latin America, this kind of dramatic opening and selective privatisation of the economy is known as a piñata, synonymous with ‘crony capitalism’. Many delegates were shocked by the conditions in Yangon. The poverty, infrastructure, crowded streets, and rain and mud (the visit took place during monsoon season) were at times overwhelming for the participants. Cubans are no strangers to poverty, nor to crumbling infrastructure. Nevertheless, to one traveler, the conditions in Yangon (while by all accounts much improved over the last five years), reinforced the idea that democratic change does not result in economic improvement overnight. In his words, “The road to well-being is long and hard. Even after years of change, things here are bad”. 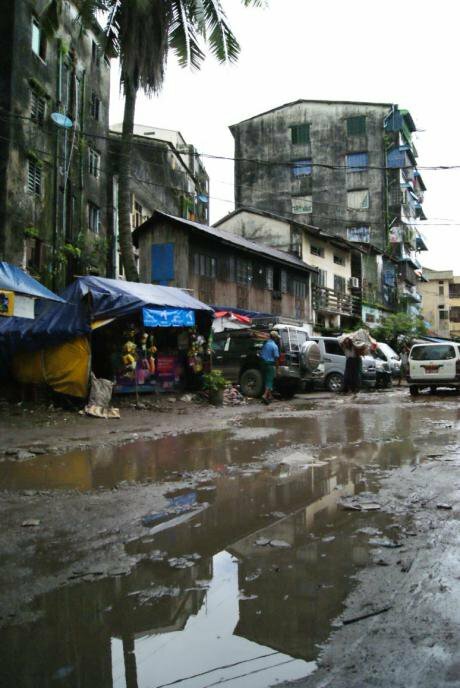 Muddy streets and worn infrastructure in Yangon. (Image by author)(iii) Transitional justice is always difficult and almost never satisfying. As in any transition from authoritarian rule, the formerly-oppressed find themselves having to work with their former oppressors. This is certainly the case in Burma, much more so given the country’s vast and brutal system of imprisonment and torture. For many Cubans, this is a scenario they could foresee theoretically, but challenging to contemplate in practice. Meeting and talking with some former political prisoners, MPs, and others who find themselves working alongside their former torturers was an enlightening experience for the delegates. For one participant, the experience helped him realize that in the case of a potential transition in Cuba, much of the current government apparatus and many of its functionaries – including elements of the state security services – would continue to have a role in the new government. 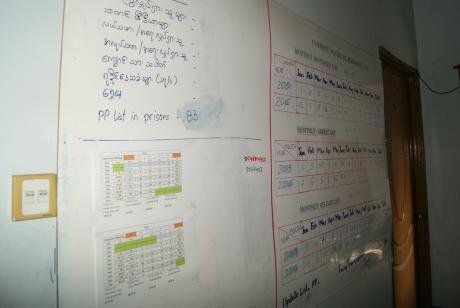 Burmese activists continue to track the cases of current political prisoners. (Image by author)Transitions from authoritarian rule are always messy, and each context has its own peculiarities. Any lessons drawn from a large, Asian country with a strong Buddhist tradition will naturally be limited in their applicability in the context of a small Caribbean nation like Cuba. Notwithstanding these caveats, it’s up to the Cubans fighting for liberty and human rights to determine which aspects of a country like Burma hold relevance. For them, exchanges like this are invaluable. Witnessing a transition that resonates with a potential Cuban experience illustrates the benefits and challenges of one type of transition, warts and all.